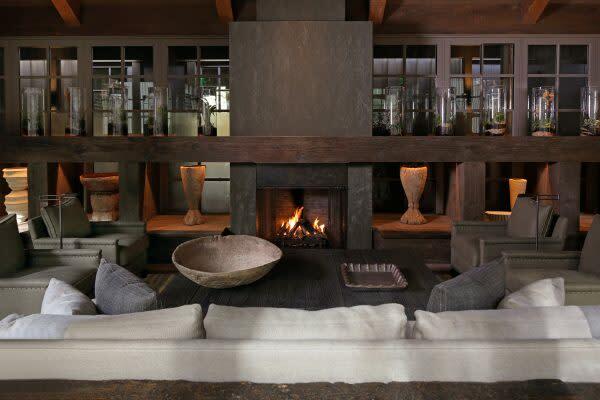 Though our winters are milder than in many places, here in the Napa Valley we still love to cuddle by a fire when there’s a chill in the air (for us, that’s anywhere south of 60 degrees). 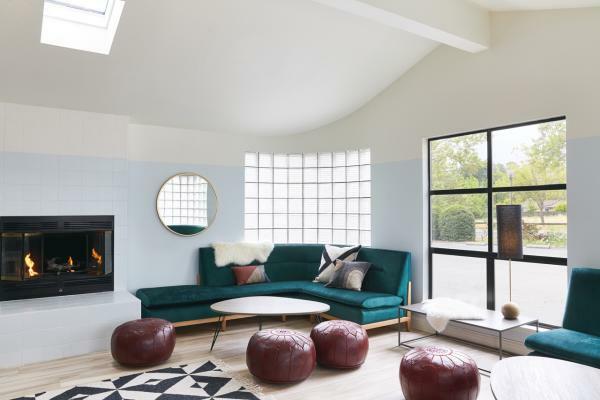 And there’s no lack of opportunity – there are countless wineries, hotels, and eating venues that feature fireplaces, from outdoor fire pits to grand stone hearths, where you can sit with a hearty Cabernet close by. Here are a few of our favorite fireplace experiences to try this winter. Meadowood Spa. 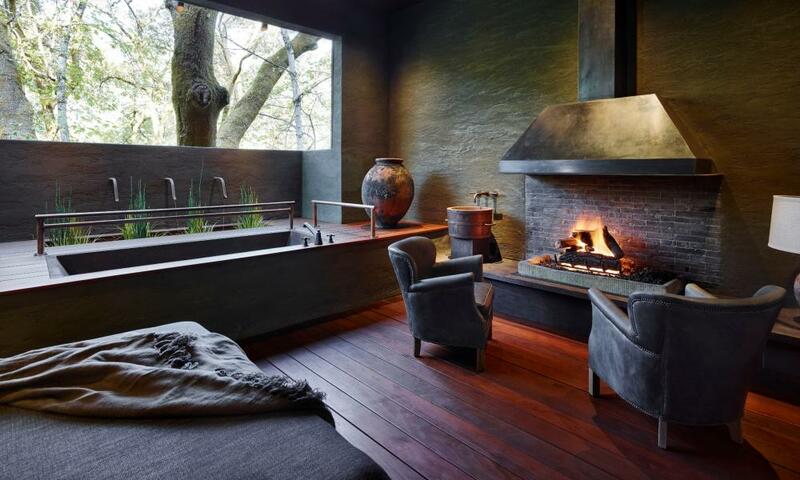 The Treehouse Retreat (in cover photo) is the perfect place to relax with a roaring fire before or after your spa treatment. You can heighten the experience by enjoying a healthy meal from the Spa culinary menu. Archer Hotel Napa. 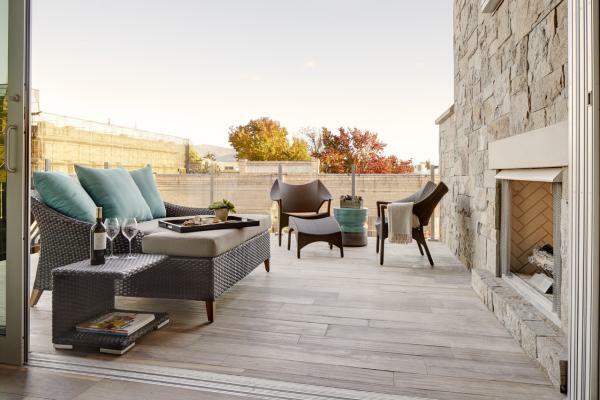 This new property in Napa features fireplaces on the balconies of its suites, with lounge seating and blankets for chilly evenings. Specialty balcony menus can be enjoyed fireside, including “Bubbles and Brie” and double fudge chocolate cake with Prager port. Archer&apos;s rooftop bar features fire pits and a stone fireplace. Napa Valley Marriott Hotel & Spa. 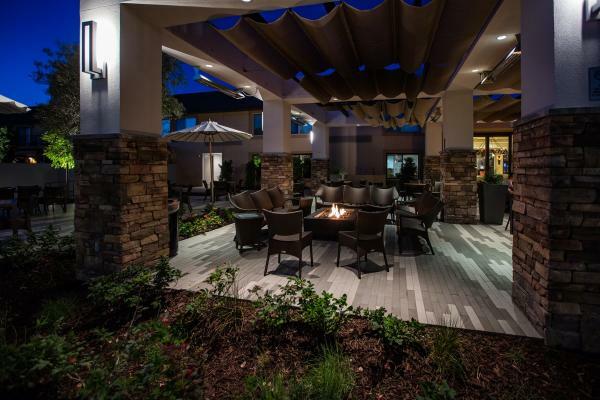 The patio of the Marriott’s indoor/outdoor lobby is the perfect spot to unwind with a cocktail after a day of exploring. You can enjoy a custom-made bourbon flight, a locally crafted grain-to-glass cocktail, or a bite to eat while you warm up by the outdoor fire pits. The Charter Oak. 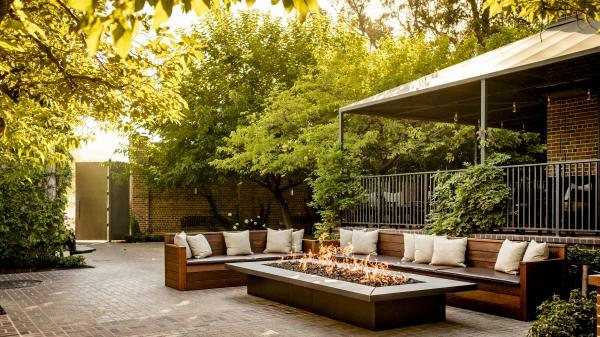 Opened just last year, this St. Helena restaurant features a large fire pit in its beautiful courtyard of mulberry trees, where you can enjoy beverages ranging from bottled cocktails to large-format “for-the-table” drinks and an extensive list of local wines and beers. On chilly evenings, plush blankets are provided so you can linger as long as you like. Robert Mondavi Winery. Book an after-hours tasting inside Mondavi’s cozy Spotlight Lounge. They’ll light the fireplace and provide a variety of reserve and winery-exclusive wines. The intimate one-hour experience includes an artisanal cheese and charcuterie selection. Offered Wednesdays at 5pm by appointment only, $55 per person. Clif Family Winery. 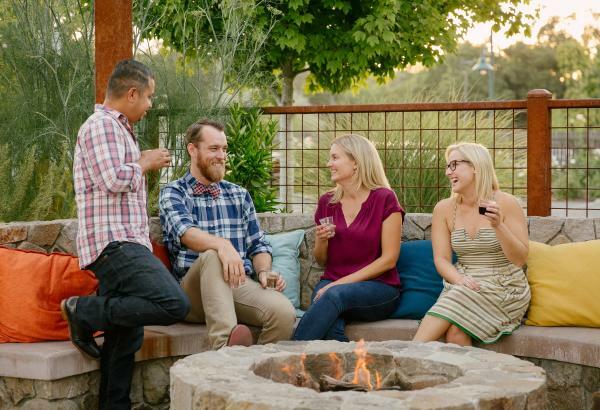 Against a mountain backdrop and with some cozy pillows, Clif’s patio fire pit is the perfect place to warm up with seasonal items from the Bruschetteria food truck. Try the hand-milled polenta or a satisfying bowl of Italian ramen with a glass of Cabernet Sauvignon from Howell Mountain. Or tempt your sweet tooth with its signature Mexican hot chocolate. Calistoga Motor Lodge and Spa. 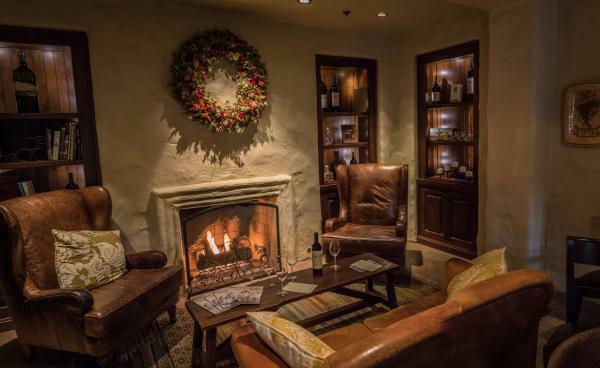 This Calistoga resort offers “Winter Warmer” wine tastings every Friday from 5 to 6 pm in the hotel lobby. Each week a different local winery hosts the tasting, and there’s a selection of board games available, creating a warm gathering spot for visitors and locals alike. V. Sattui Winery. 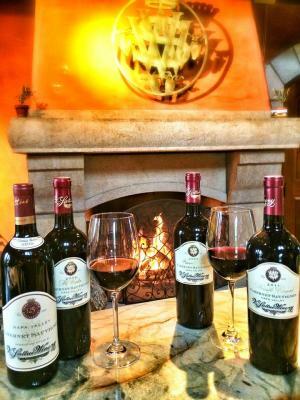 With Sattui’s Fireside Reserve Tasting, you’ll relax by a crackling fire in the winery’s Tower Tasting Room with a sampling of its single-vineyard wines and older-vintage Cabernets. The tasting includes five top-tier wine selections, and you can add a sweet or savory pairing with selected chocolates or dry-aged artisanal cheeses. Offered Fridays, Saturdays, and Sundays from 10 am to 4 pm; $40 per person and $15 more for the pairings. You can also find fireplaces in tasting rooms, restaurants, lobbies, and guestrooms at such venues as Round Pond Estate, Stewart Cellars, Rancho Caymus Inn, Goose & Gander, Cliff Lede Vineyards, Poetry Inn, Harvest Inn by Charlie Palmer, Silverado Resort and Spa, North Block Hotel, the Beazley House, Las Alcobas, Hotel Yountville, Vintage House, Brasswood, Alpha Omega Winery, Milliken Creek Inn & Spa, Napa General Store, Stag’s Leap Winery, Inn on Randolph, Brannan Cottage Inn, Vino Bello, Embassy Suites, and the Cottages of Napa Valley.